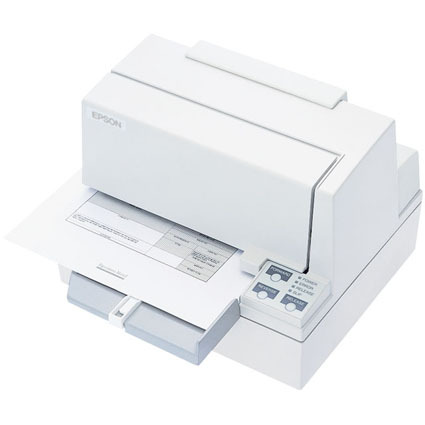 The Epson TMU590 features ESC/POS, providing high levels of flexibility and an easy up grade path. This fast wide-slip printer is extremely versatile and capable of handling a wide range of slip, cheque and invoice applications as well as multi-part slips. Its flatbed design makes paper insertion easy, speeding up transaction times. Dimension (WxDxH): 9.9" x 10.47" x 7.28"